Getting together with family and friends for a night of friendly competition is always fun. Though sometimes planning a party to suit everyone can be complicated. That’s why game nights are perfect for all ages. You can combine fun and competitive games with everyone’s favourite snacks and you’re on your way to host an epic game night. Game night at our house can get pretty competitive and it’s always a night full of laughter and let’s face it, bragging when someone wins. It’s all about the bragging rights! Read on for tips that will help you host a game night that will have your guests excited and waiting for your next event. For me, I always say it is good to have the classics like UNO. You know, the games that everyone knows and loves. With that said, you are going to want to think outside the box and have games that both kids and adults will have a blast with. For example, Flush N’ Frenzy. If you would have told me that I’d be plunging a toilet and catching a piece of poop with my family on game night, I wouldn’t have believed you. Then there is the game like Gas Out, that’s well, flatulence. You have to not be the one to make Guster the Gas Cloud fart. It’s these type of interactive games that are the best for all. Just make sure you mix the classics with fun and interactive games and have adult-geared games on hand too. The more variety, the more fun you’ll have. Believe me! If you like to sit around a coffee table on the floor, make sure you have plenty of comfy cushions and pillows that people can lounge on. In the case that you are more of a dining room gaming crew, make sure there are plenty of seats that are comfortable too. Make sure the tables are clear and have enough room for all the game pieces and for players to have enough space. It is always a good idea to have finger foods, portable, and ones that people can enjoy in between moves. You can set up a chip bar with all types of chips and dips, a candy bar, or even a fruit and veggie tray. If you’re super extra like I can be sometimes, you can even make special snacks and appetizers that are themed with the game you’ll be playing. If the party goes on, you can always order pizza and you’ll be set. Make sure to have plenty of drinks. Water, soda, and juice are always a safe bet. I usually grab diet and regular sodas. Just in case there are people who only drink one or the other. If you will be having more adults, chill the wine and beer, and it’s going to be a good time! Of course, this is up to your own discretion and you can gauge that best. Gasp and clutch your pearls but, yes. Ask everyone to surrender those phones, the internet will be there after your epic game night. You can have them nearby in case of emergencies but, make sure your guests know your landline number (yes, people still have those) so that they can get a hold of any guests if they absolutely need to. You can cheat and take a few snapshots of all the epicness if you want but, then put it away. After all, it’s those connecting moments, laughter, and engagement that make a game night truly epic. I’ve teamed up with Mattel & MGA entertainment to give one lucky Whispered Inspirations reader a Board Game Prize Pack. That way, they can have an EPIC and awesome game night. This contest is open on November 15, 2018 and closes on November 30, 2018. For more information about UNO, Gas Out, Flush N’ Frenzy, Kerplunk, Squawk, and #SocialStar, check out my Holiday Gift Guide. How do you do game night, do you have any tips? I love a good game of Uno! We certainly would love UNO,we have played before at our friends but we don’t own the game! I really want to play Kerplunk with my daughter! I had totally forgotten about it until your post, but I loved it when I was a kid! What is this? Flush N’ Frenzy HaHa. I am sure this gets everyone giggling which makes a perfect family night. I suggest no TV either. Too often I notice it is on just for background noise. I am on a mission lately to turn it off and turn on the music. No phones and no TV 🙂 Thanks for this chance. Love a good game night! OMG, the poop flying makes me laugh so hard! That is a great tip! I love playing Uno with my 2 kids. I loved playing Kerplunk as a kid. I want to try Squawk with my family. We would play Squawk the most as it looks like fun. I would love to play UNO the most! So fun. I would like to play Uno the most. I want to try the Flush N’ Frenzy game! We would play Uno the most because the kids are old enough to know simple strategy and a lot of people can play it at once. Would love to play UNO with the family and friends. I would love to play Kerplunk with my kids. We owned it when I was a kid and it was fun. I would like to play Kerplunk. These games would be fun for game night with the family. I’d love to play Kerplunk with my kiddo, I had this game as a kid, many years ago! LOL these all look so fun! I bet my son would LOVE GAS OUT! Uno is the game I would choose to play first. My daughter loves it! I would like to play Kerplunk the most with my granddaughters! I use to play it with my children! Lots of fun. The Squawk game looks like one I would love to play with my kids. 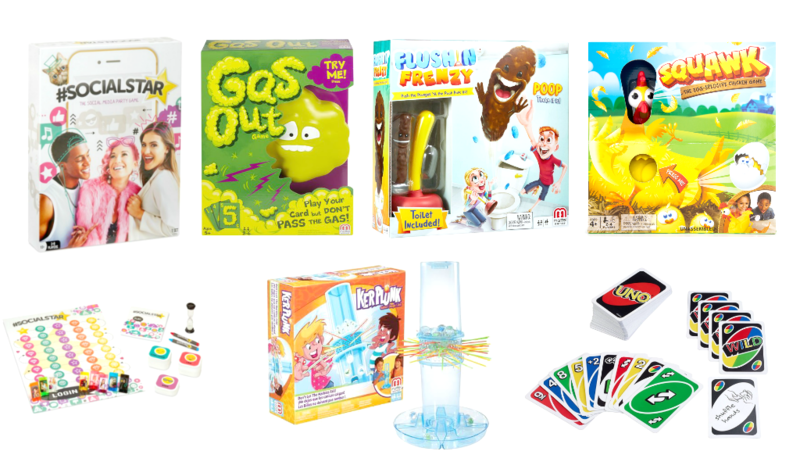 Flush N’ Frenzy and Gas Out look like fun games that I would enjoy playing with the grandchildren, there is going to be lots of laughs with these ones! We want to play Flush N’ Frenzy! We really like uno,the kids will play this all day if I mind too! Our family really loves playing Uno! We enjoy having a Family Game Night every couple of weeks. Having lots of snacks makes a game night more enjoyable. Popcorn, potato chips, candy and pop are big hits in our home. I’d play with my 9yr old & 6 yr old kids! I think Squawk looks like it would be fun…..as my granddaughter has backyard chickens! Flush N’ Frenzy sounds like a ton of fun! I would play with my kids. One of the best things about game night is the finger foods! We love our family game nights. It would be fun to play Kerplunk with my girls. Keep Them Hydrated would be fun game to play, considering how many drinks we can add to the game! Prep the Game Area is my favourite tip! My oldest has recently really gotten into games – she loves Jenga, CandyLand, Trouble and Guess Who. She played Uno at a friend’s house and has been asking for it ever since. We love family board game nights, they’re fun learning & bonding experiences. My grandson would love the air charger cars. I would love to play Kerplunk. Used to love that game as a kid. Would love to play with the family and grandkids! I want to win Flushin’ Frenzy the most! It’s on my son’s Christmas wish list this year. Uno is an all time fave!! These would all make for a wonderful family game night. Thanks! Nothing better than a good game night with family and friends! These are great games to encourage fun family time. The games would be so much fun. I would love to play KerPlunk again. It has been years. I want to play the game Squawk. Sounds like fun. The Flush N Frenzy looks like a lot of fun. My grandson would love playing with the air chargers, they look like a lot of fun!! I would love to play Flush N’ Frenzy with my niece. 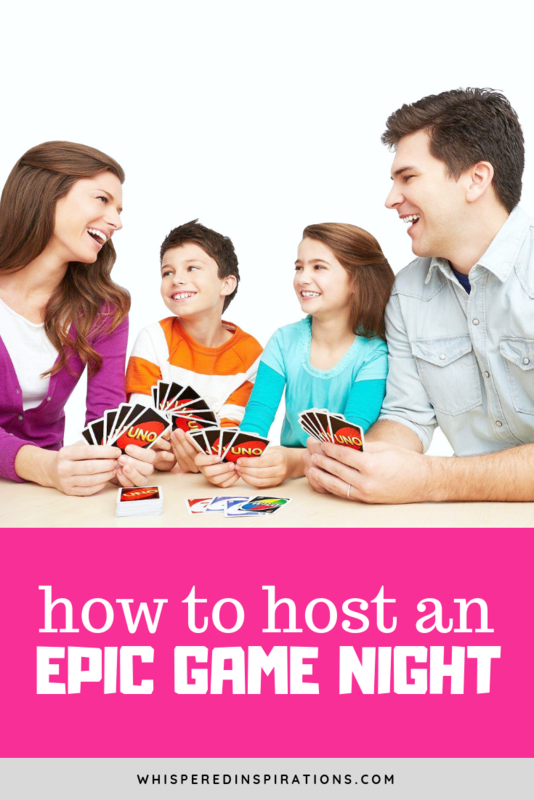 we love our family game nights….its something we all look forward each week! We would play as a family – family game night! Lots of people and lots of good snacks make our game nights epic. I’d like to get Uno Card Game, looks fun! I really want to play Kerplunk,I never have ! I’d like to play UNO the most! I think we would play gas out the most. I’d give this to my niece and nephew. I bet my kids would giggle their way through Gas Out! Party Tip: I like to have a nice picture of water with ice available. If the option to drink water is there then making a choice instead of sugared juices or pop. I also let the kids have the fancy glasses for water. Water doesn’t hurt anything if spilled and the kids get a thrill out of glass glasses. I would play with my little man these games! I want to play Gas Out with my family and grand children. It would be great for some good laughs. Gas Out looks hilarious. I love games that get everyone in the family laughing! I love game nights with the grandkids. The game #SocialStar looks like a lot of fun. We like UNO for family game nights. My party tip is to try to find games that don’t take too long to play so that each kid can pick a game (to eliminate fighting). I want to play Flush N’ Frenzy with kids! I want to play Kerplunk with my granddaughter! Family game night is lots of fun. I really want to play Kerplunk! I would love to play Squawk with my child! Great tips,my kids would love this ! The Flush N’ Frenzy looks like a lot of fun. I want to play the most UNO game! 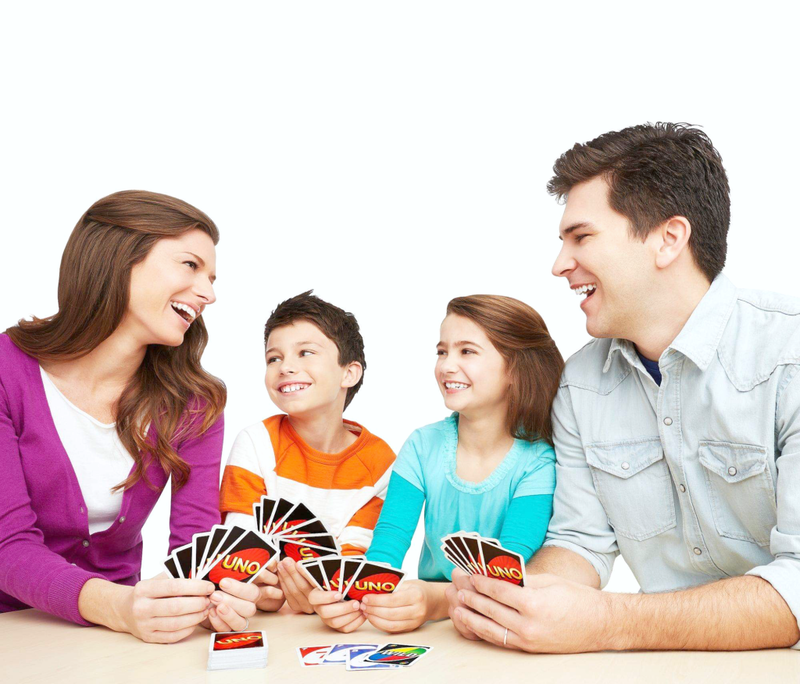 These are great games, but Uno is a classic our family would love! My family likes to play UNO. I would love to play squwak! It looks funny ! They all look pretty fun though ! Love games ! I love playing UNO with the grandkids,it always a fun night ! I want to play the most with UNO, great game! I’d gift this to my niece and nephew. I love when we have a family game night. These all look like a lot of fun. This is a great selection of games. The kids will love these. I’d gift this to my nephew and niece.